In November 2008, recycling in Pittsfield Township was segregated and restricted to an 18 gallon bin with no covers that would blow paper around neighborhoods and streets, furthering rather than reducing pollution. We implemented, in fall 2009, the first community-wide single stream recycling program in Washtenaw County that now provides 65 gallon and 95 gallon carts, at no charge, to residents. In November 2008, about $1 million of grant funds were left unused and due to expire in December 2009, for the installation of a greenway. We used these funds to install the Platt Road Greenway, within a matter of months, our community’s first 10’ pathway/greenway connecting thousands of residents to the largest recreation park, Lillie Park, in Pittsfield and into Ann Arbor’s non-motorized network to the north. From 2009-2010 we implemented one of the State of Michigan’s largest water main replacement projects that replaced 50 year old infrastructure and improved water quality for residents in the northeast: Pittsfield-mi.gov/projects. Pittsfield Township was awarded an Energy Efficiency and Conservation Block Grant in 2010 that was used to audit Pittsfield’s public facilities to identify energy saving upgrades and retrofits with a goal of at least a 10% savings in energy costs and pollution reduction. Since then, these energy efficient retrofits have not only saved costs but reduced our energy use significantly. Pittsfield Township has partnered with the Ann Arbor Greenbelt Program, in 2010 and in 2015, by – among other things – providing a monetary contribution to place multiple properties in Pittsfield Township under a conservation easement. 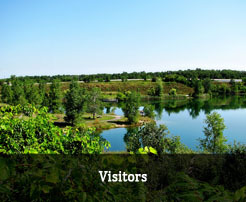 Pittsfield Township has expanded preserved green spaces by 200 acres since 2009 through donations and partnerships, which includes the Natural Area Preservation Program’s first set of land acquisitions in Pittsfield Township (2014) that further expanded preserved green space in central Pittsfield around the Pittsfield Preserve. Partnered with the Legacy Land Conservancy to bring online the 50 acre Johnson Preserve, which included expanding Lillie Park’s trail network to link to the trails at the Johnson Preserve. Expanded Pittsfield’s partnership with U.S. Fish & Wildlife to plant multiple native habitats in Pittsfield, including converting large swaths of land at Hickory Woods Park into native habitat. We are currently in the planning stages to partner with USFW to plant butterfly gardens at Hickory Woods and Woolley parks. Promotion of pollinator gardens includes establishment of a bee yard, in May 2016, at Seyfried Park. Established the Stormwater Management Committee in 2009 that compiled, for the first time, a Stormwater Management Plan for Pittsfield. This work was and continues to be accomplished in partnership with regional partners including the Huron River Watershed Council and Washtenaw County Water Resources Commission (WCWRC). 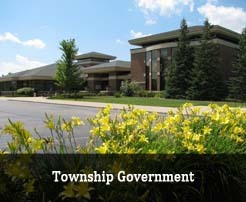 The latter has partnered with Pittsfield Township, since 2010, to host regional seminars on educating the public about stormwater management and Fats, Oils and Grease (FOG) control. Partnered with the Washtenaw County Road Commission (WCRC) to implement the County’s first ‘road diet’ program at Golfside Road, in 2010-2011, that removed a motorized lane and added bike lanes, transit stops and sidewalks. Since 2009, Pittsfield Township has set the regional standard in installing non-motorized amenities within a township-context. We have converted randomized sidewalks into a seamless network of sidewalks and bike lanes supported by a multitude of pedestrian and mid-block crossings in northeast and northwest Pittsfield. In addition, we have installed 7 miles of greenways along Michigan Avenue, Platt Road, Textile Road, and Lohr Road. Pittsfield Township partnered with AAATA to host majority of the leadership meetings in 2013 as the regional transit plan was being developed for Washtenaw County. Pittsfield Township has been integral to the implementation of this regional transit plan that has expanded fixed route and on-demand transit services to thousands of Pittsfield residents and, for the first time, provides public transportation to Township Hall. We have, for the first time since the 1990’s, expanded transit services in Pittsfield that not only provides transportation options to our seniors, youth and those with special needs but also helps to reduce emissions. Pittsfield Township was awarded its first and only Congestion Mitigation and Air Quality grant that was used, in partnership with private funds, to install a roundabout at Ellsworth and State Roads in 2013. Initiated and completed the first comprehensive revision of the Zoning Ordinance since 1970s that promotes, among other things, mixed-use form-based districts and the economic viability of local agriculture that includes allowing for local food stands and supporting organic farming. The Township Master Plan, beginning in 2011, for the first time, has chapters for Green Pittsfield and Open Space, Agriculture, and Natural Features that articulate a vision to preserve our green spaces (p. 136) and natural areas. Adopted and implemented a strategy of infill development that leverages existing grey infrastructure instead of converting green into grey infrastructure. Established the Farmers Market in 2013 to promote local food access and support local agricultural lands (the largest land use in Pittsfield remains agricultural). In 2016, the Board of Trustees supported expanding it from a summer-only to a year-round Market. Received a $1.2 million grant, in 2015, to perform preventative maintenance of Pittsfield Township’s sanitary sewer system that will be coordinated with WCWRC to provide for better local and regional stormwater management. Pittsfield is the only community in Washtenaw County to provide Tesla charging stations and while we have begun the process of retrofitting our township vehicles with energy efficient ones, our goal is to have a hybrid or EV township vehicle fleet. Pittsfield Township Board of Trustees adopted a Resolution, in April 2016, that bans the use of coal tar sealants by Pittsfield Township and urges the state legislature to do the same. Initiated, in 2016, the first land purchase in 8 years for a park in the densest part of Pittsfield (Oak Valley/Waters) that has remained without a single public park despite 40+ years of park purchases and development by previous administrations, especially between 2000-2008. 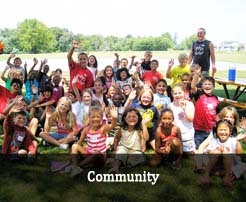 First and only community in Washtenaw County to receive, in 2014, the Sustainable Community Leader Award (at the gold level) by SEMCOG for our leadership, since 2009, in promoting multimodal transportation, infill development, and preservation of green spaces. 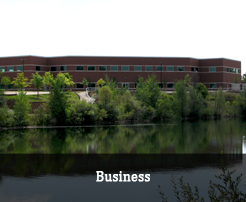 Pittsfield Township is one of twenty communities across the state of Michigan recognized by University of Michigan’s (Dearborn) eCities initiative, in 2015 and 2016, for implementing sustainable strategies that foster entrepreneurial growth. We received the highest designation of being a 5-star Best Practices community for clearly identifying and implementing a sustainable vision centered around placemaking. Working with the Park Commission to implement community gardens at Pittsfield Township parks, including Hickory Woods and Woolley.